We came from Las Penitas … where we stayed for 6 nights in the Barca De Oro Hotel. 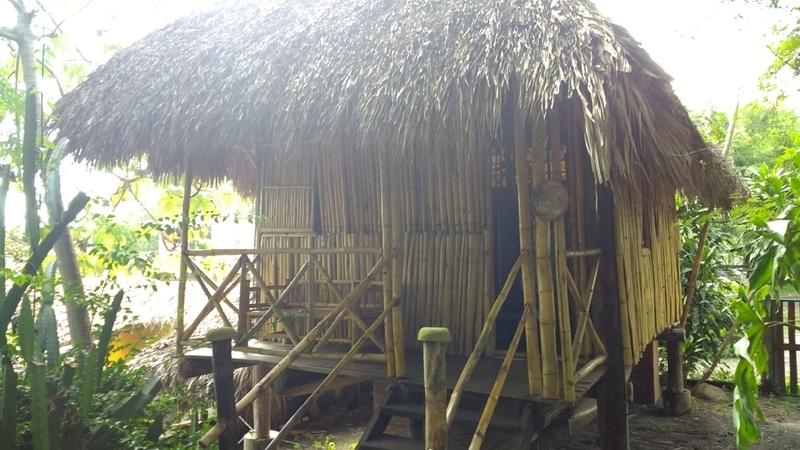 We paid a discounted price of US$21.35 / night for a Bungalow … the hotel was running a ‘Stay for 2 Nights and get the 3rd Night Free’ promotion. 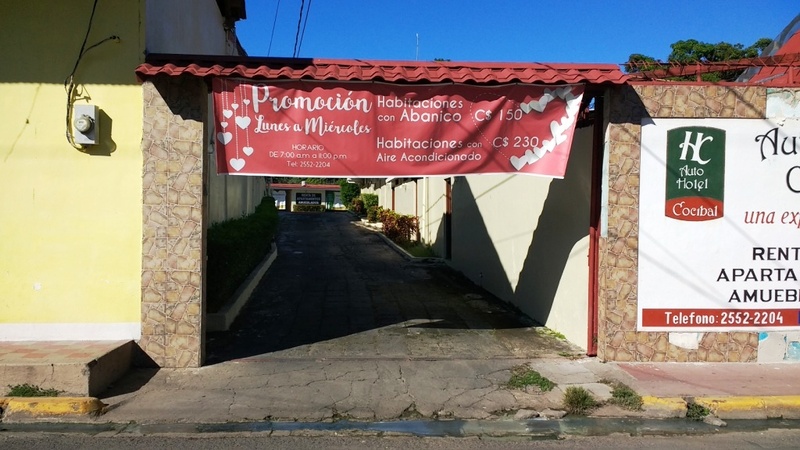 Without this promotion, we would have paid US$32 / night. At US$32, it would have been too expensive for a GRANDPAcking Budget … and, in my opinion, over-priced. 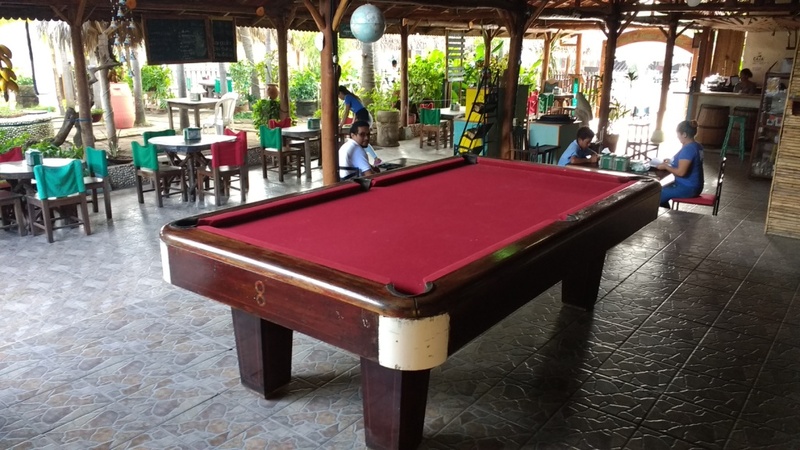 The hotel was one of the largest in Las Penitas with a 20 table Restaurant and Lounge area around the Reception. 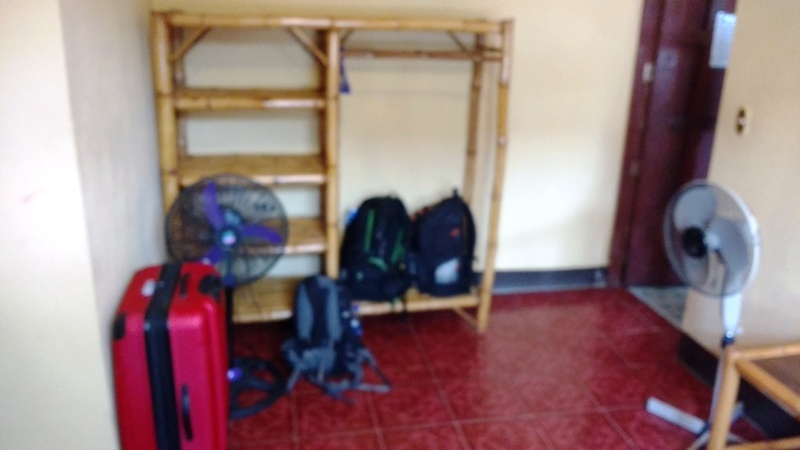 We had a separate Bungalow which was spacious with 3 beds: 1 Double and 2 Singles. 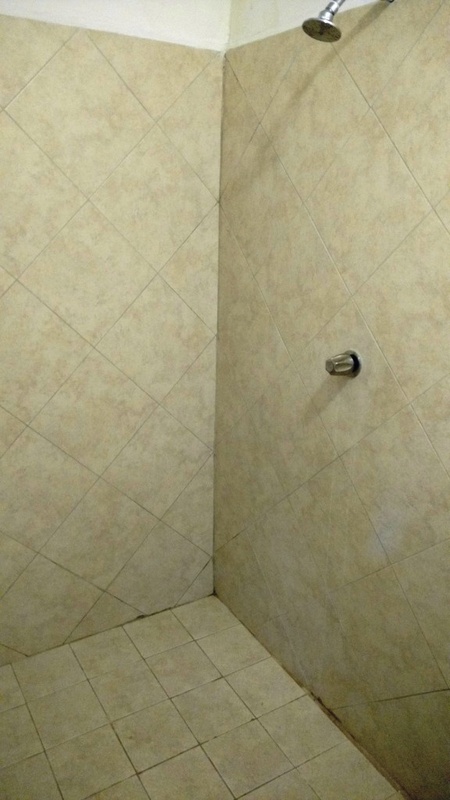 The En Suite was OK (but the sink was blocked and they never came to fix it). 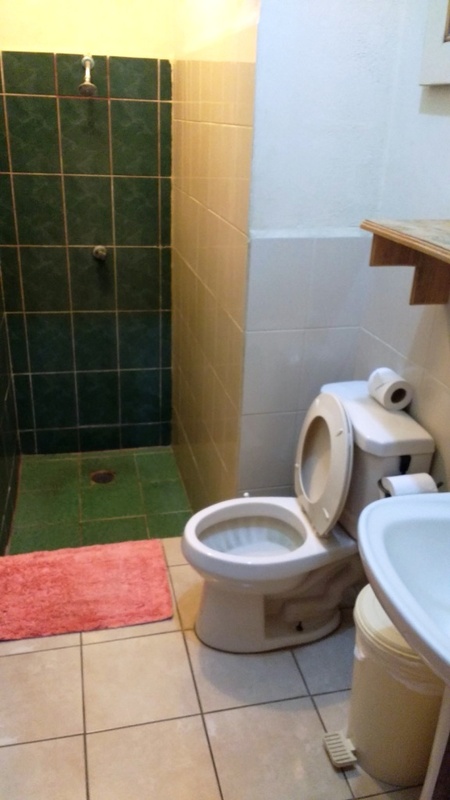 The toilet was a ‘long drop’. We had our own balcony. It was a pleasant, relaxing stay. We could have caught a Chicken Bus from outside of the Barca De Oro back to Leon (N$14 each). In Leon we needed to catch a taxi to the Bus Terminal (N$100). Then, a Chicken Bus to Managua (N$60? each). 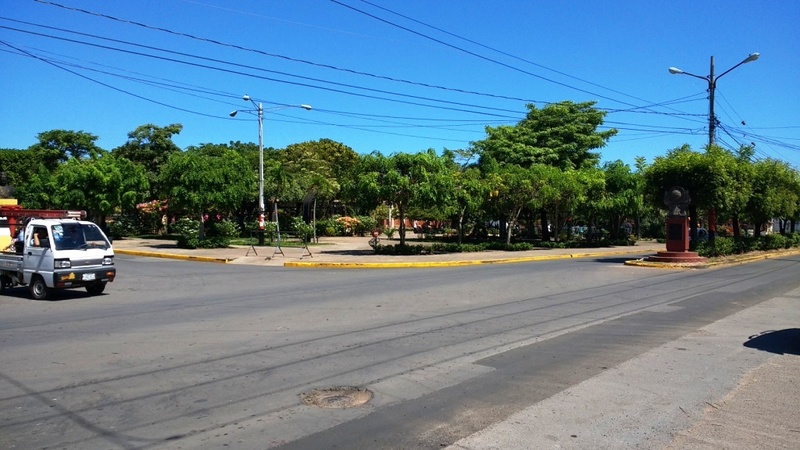 Then, possibly, a taxi across Managua to another Bus Terminal (N$?). Then, a Chicken bus to Granada (N$29 each). Then, possibly, another taxi from the edge-of-town Bus Terminal to our hotel (N$?). 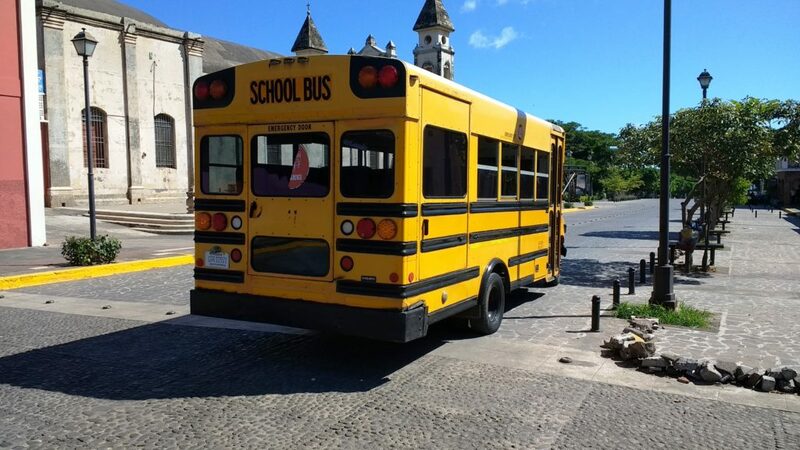 We discovered, later, that the Managua to Granada Chicken Bus stops 80 meters from the Cathedral Square … so, that final taxi would not have been necessary. 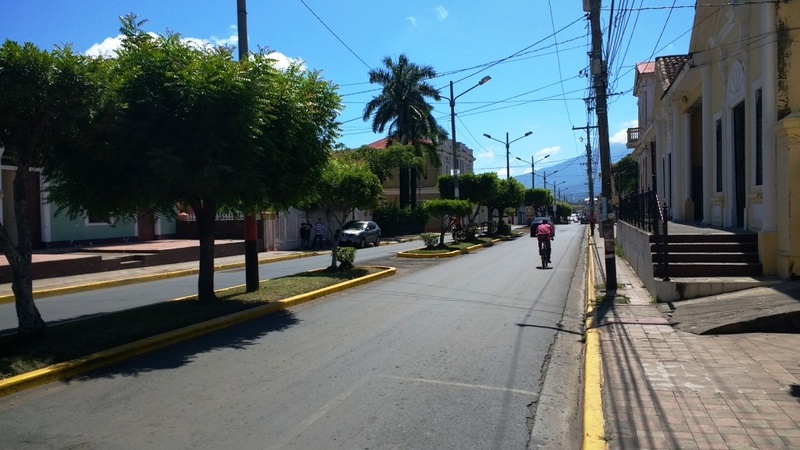 In Las Penitas, you can catch a Shuttle to Granada for US$15 each. It leaves Las Penitas at 8:30am and arrives in Granada at 12:00-1:00pm (depending upon who it needs to pick up / drop off and where). The Shuttle drops you off at your Granada Hotel. If the Shuttle was scheduled to take about 4 hours … we could at least double that by making our own way on Chicken Busses. We figured that we MAY be able to Chicken Bus it to Granada for about US$7.50 each. We decided that the US$7.50 difference in price wasn’t worth the extra time. We booked 2 seats on the Shuttle. The Shuttle arrived at Barca De Oro on time at 8:30am. We were in Leon by 9:00am. In Leon we changed to a larger Shuttle and headed off at 9:10am. 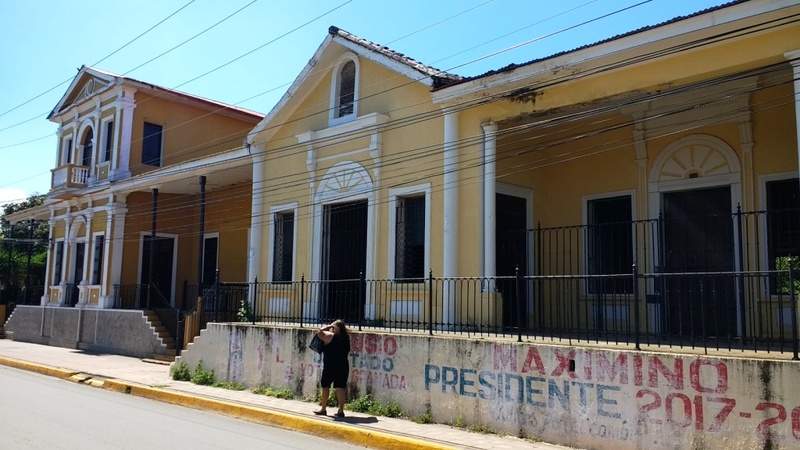 By 11:00am we were on the outskirts of Managua. By 11:30am we were dropping people off at Managua Airport. We arrived outside of our Granada hotel on Calzada Street at 12:30am. 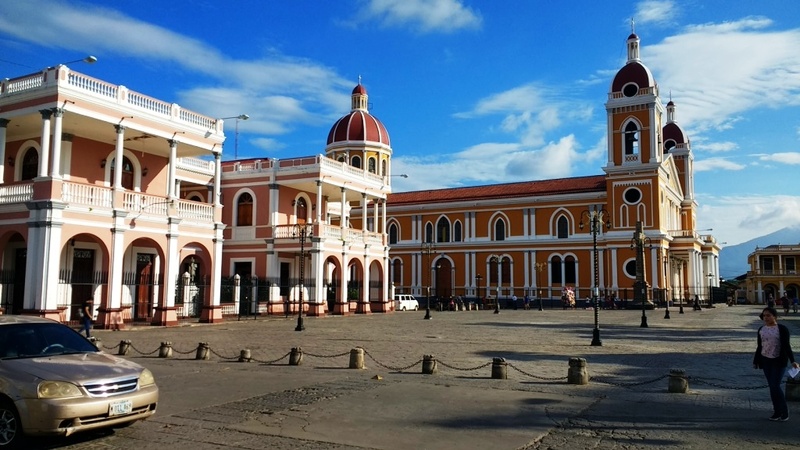 Granada is the oldest colonial city in Nicaragua and the all-time-rival of Leon. 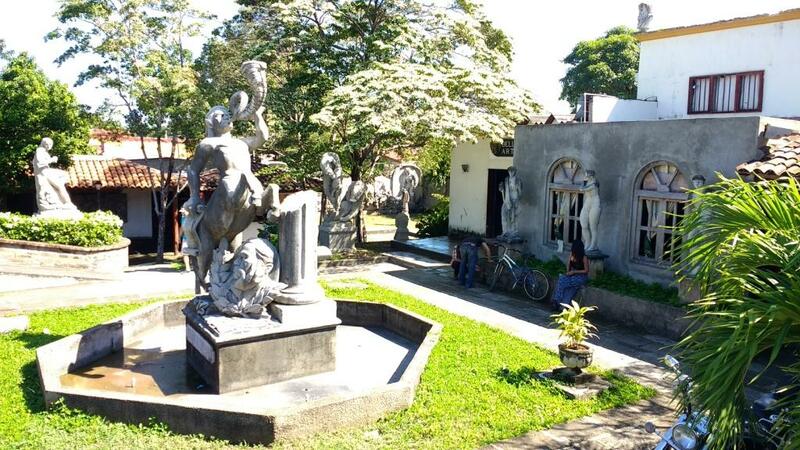 It is located on the north west side of the Lago Cocibolca / Lake Nicaragua. 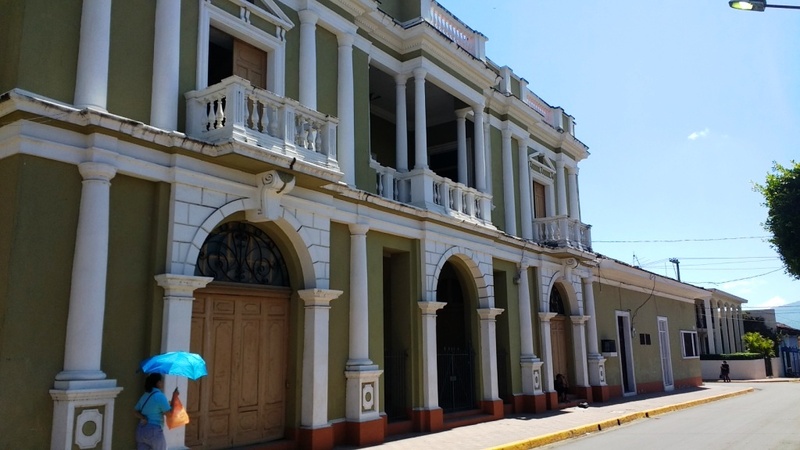 Its colonial buildings in pastel shades, interesting history, and relative safety make it an important tourism destination. 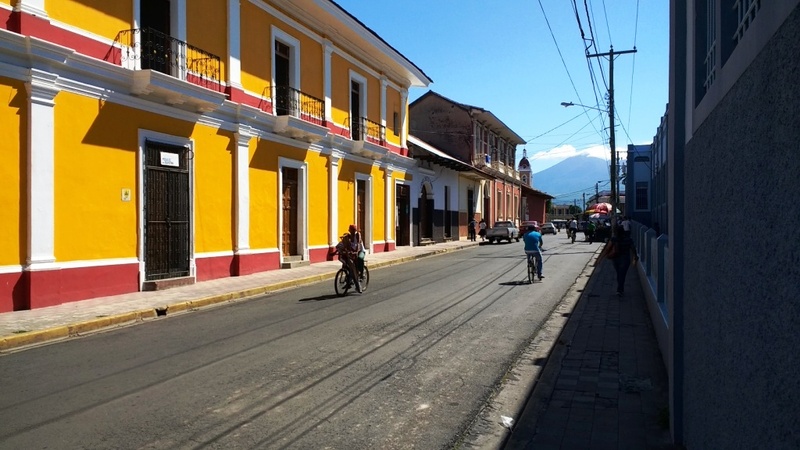 Granada was historically the sister capital in Central America to Antigua, Guatemala. 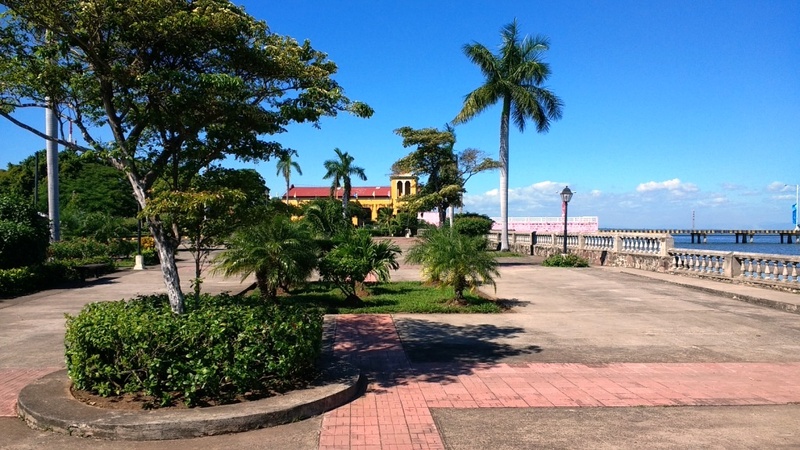 During the Spanish Colonial period, Granada maintained a flourishing level of commerce with ports on the Atlantic Coast (through Lake Nicaragua and the San Juan River). 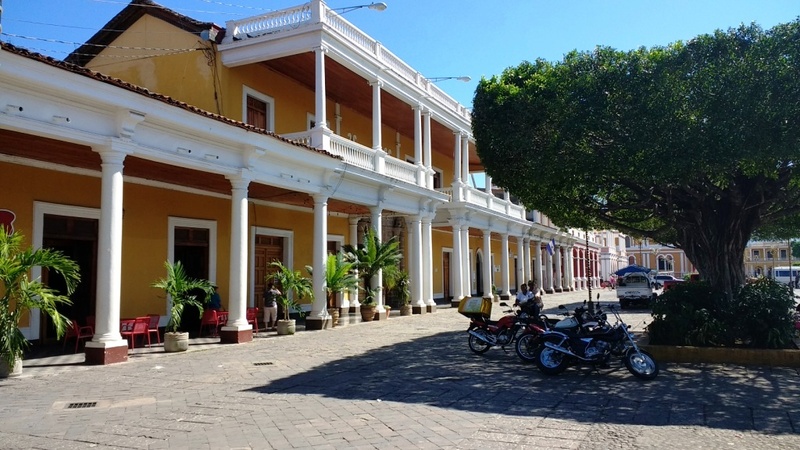 Granada has long been a center of commerce. Granada’s economy continues to grow as it is becoming the national tourism hub. 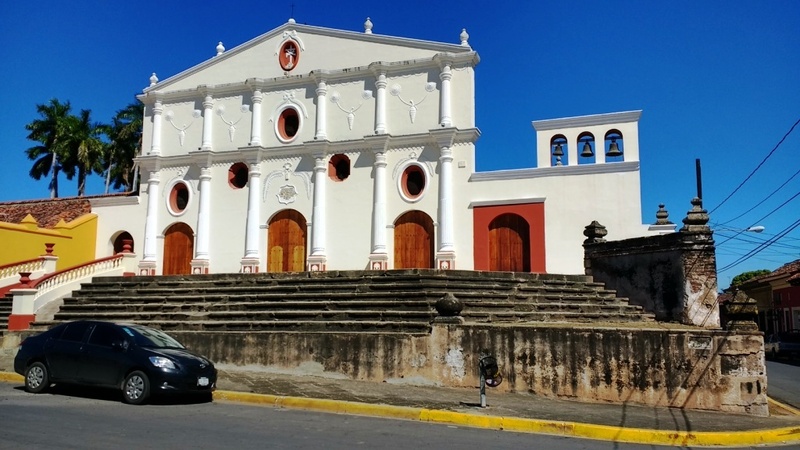 Though Granada remains Nicaragua’s sixth largest city, it is widely known for preserving some of the finest colonial-era architecture in the country. A real estate boom has been under way for several years, with many Europeans and Americans purchasing and renovating the area’s homes for retirement or holiday homes and several foreign realtors establishing offices, but that boom slowed in 2007. 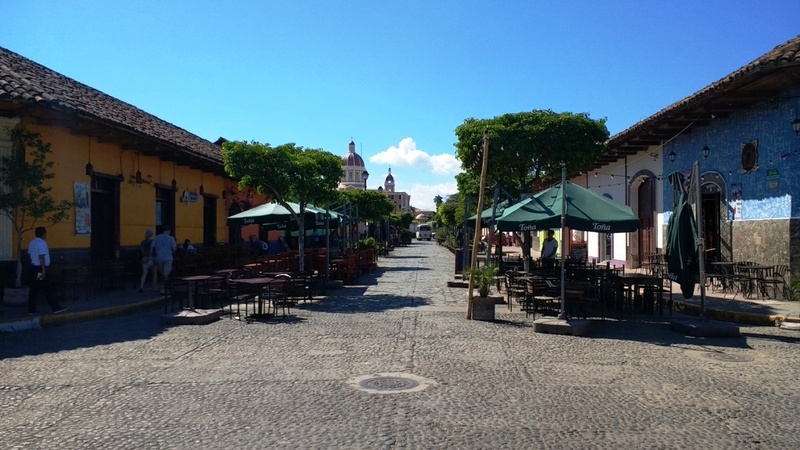 On arrival, you are immediately impacted by how neat and tidy Granada is compared to other cities in Central America. 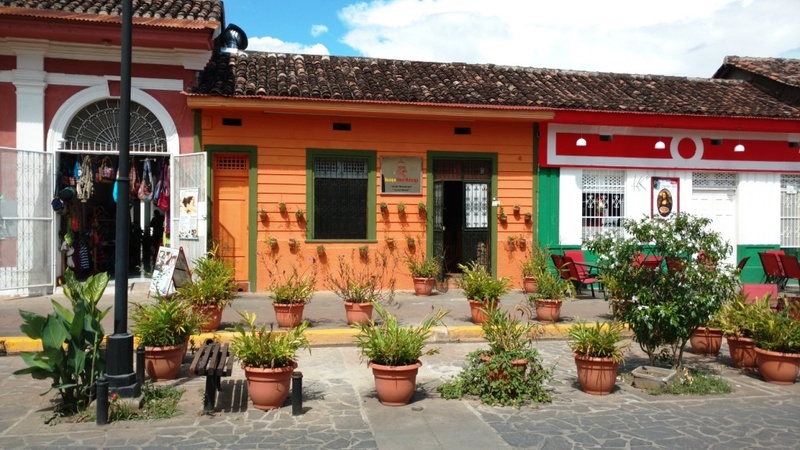 You can walk down any street around the Historical Center and find pretty, well-kept houses. There are nice parks around town. Around every corner you find a small church. 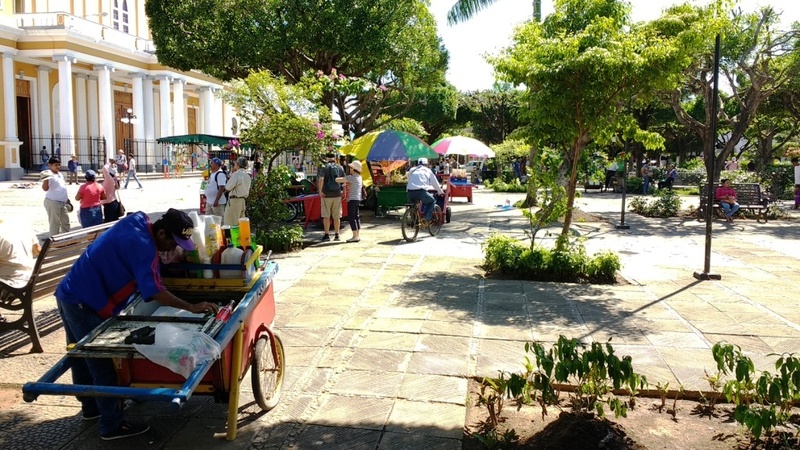 The Central Park is busy with seating areas, food stalls, and people. The Cathedral is well maintained. And the municipal buildings around the Cathedral are picturesque. 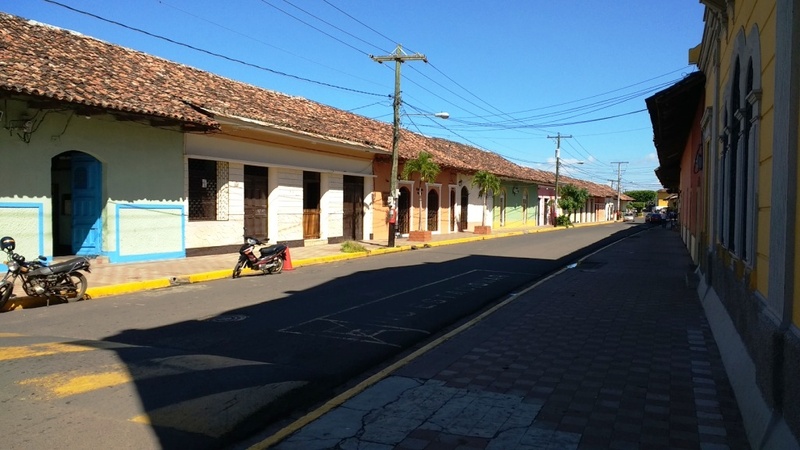 The main tourist street is Calzada. This is where you find a plethora of restaurants and bars … with lots of touts hitting on you as you walk past their restaurants … and, if you sit down, lots of sellers and beggars hitting on you every few minutes for your money. 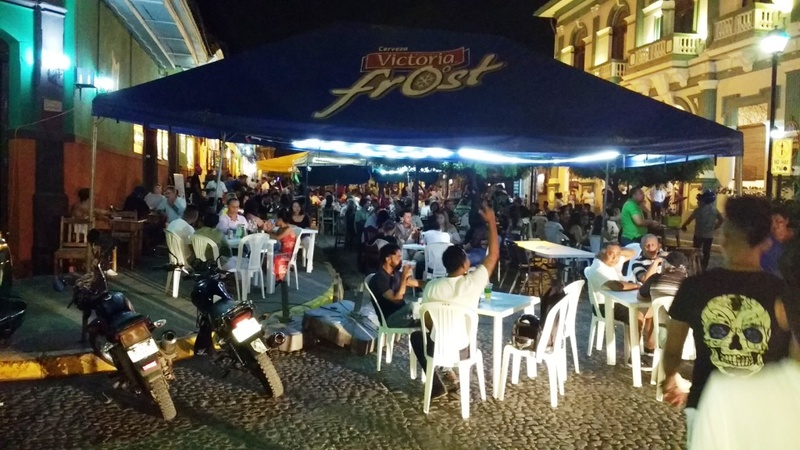 This is ‘the hot spot’ at night with people spilling onto the street tables dining and drinking into the evening. I prefer Granada over Antigua, Guatemala. 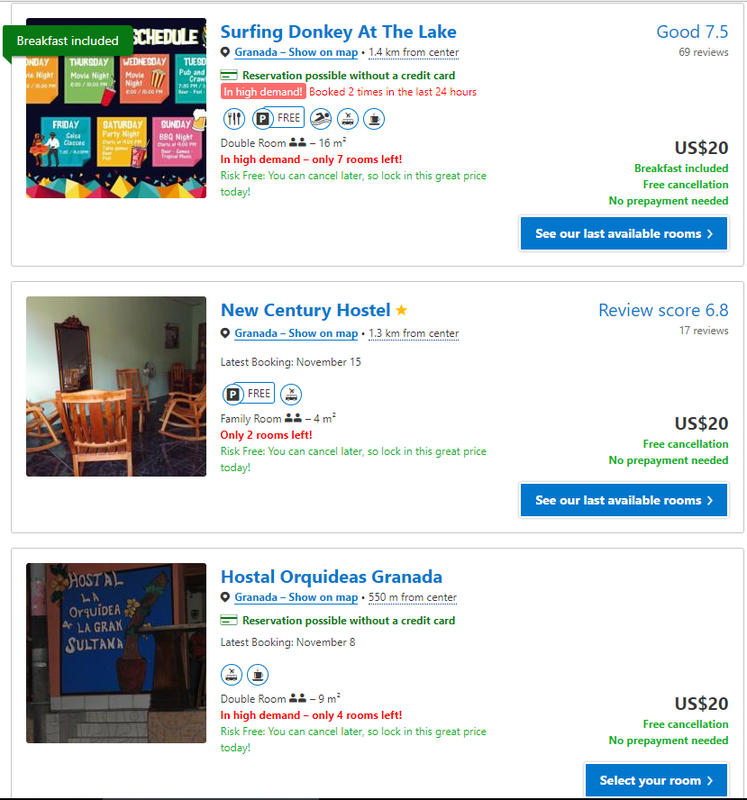 PLEASE NOTE: Hotel and Hostel search sites usually display prices EXCLUSIVE of TAXES. You may have to add up to 18% to the displayed price to get the final price. 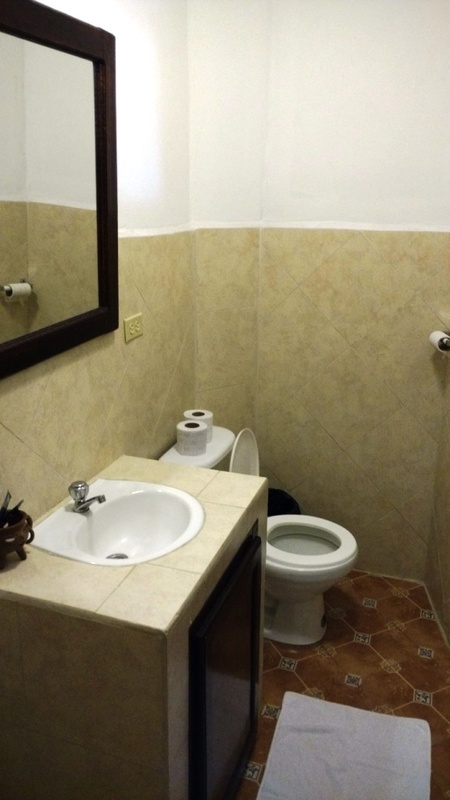 Also, some of the cheaper rooms have a Shared Bathroom … so, check the details first. There are many GRANDPAcking options to choose from in the US$18-25 price range. 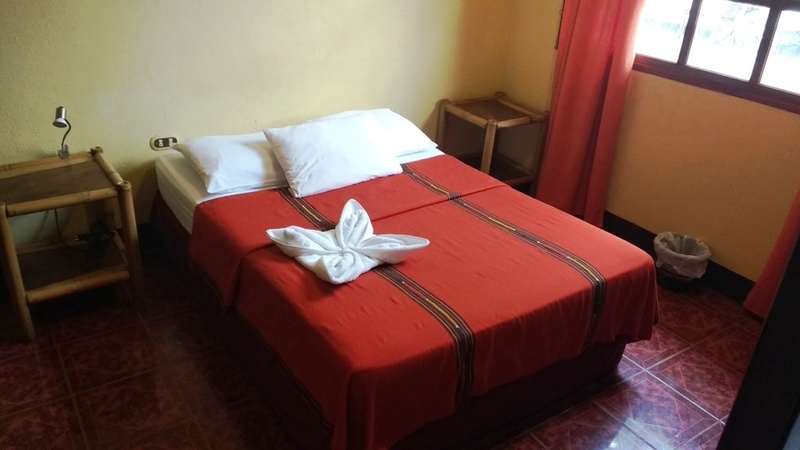 In the side-streets you will also find many cheap hotels that are not listed on the internet. 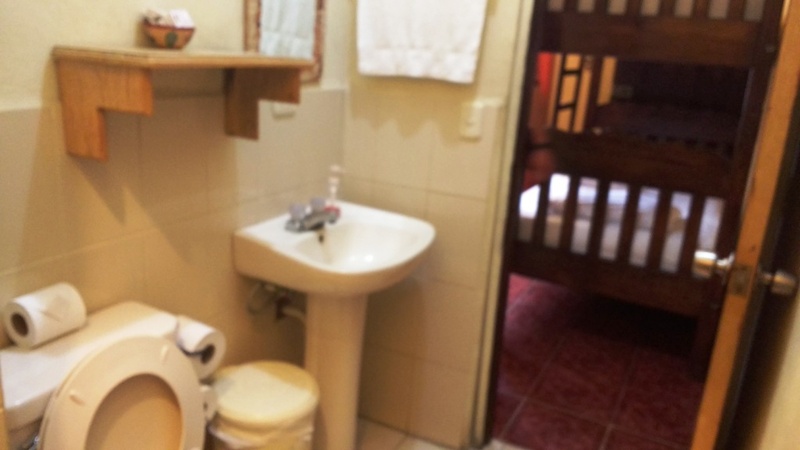 Some have rooms at half the price of what you find on the internet … FYI, C$230 (pic, above) is US$7.70. This is for a room with aircon but, I suspect, that these might be per person prices. 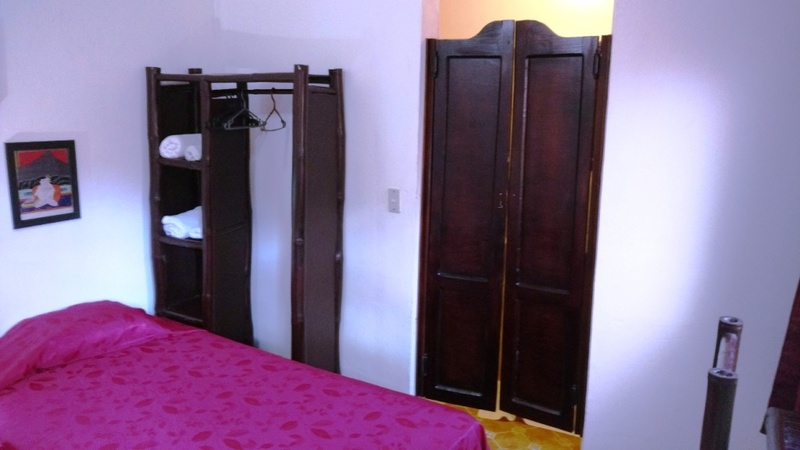 We wanted to be in the Historical Center within easy walking distance of the Cathedral Square and Calzada Street … in amongst the ‘action’ and the nightlife that Granada has to offer. 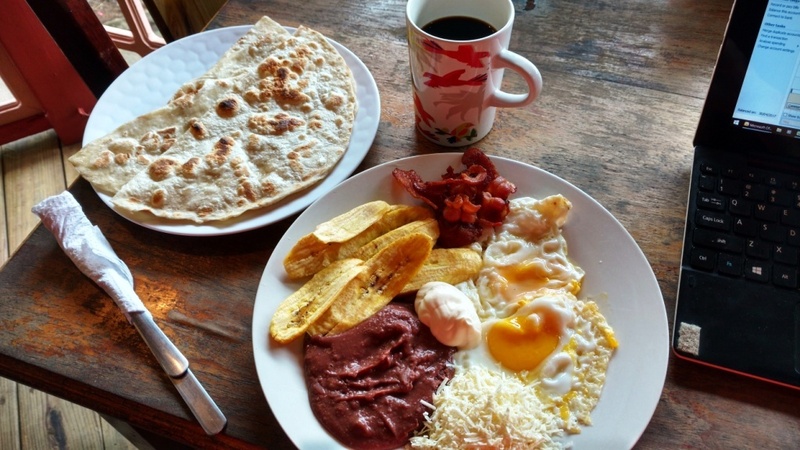 We chose a Twin Room on AirBnB for US$23 / night including Breakfast … we figured that a decent Breakfast would save us over US$3.50 / N$105 each per day. 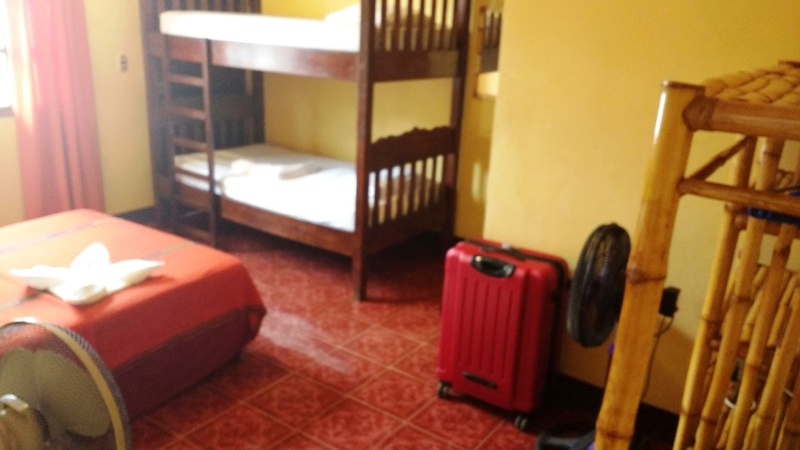 So, at US$23, it looked like we were getting a Twin Room for under US$17 / night. We booked 1 week and got a ‘weekly discount’ of 14%. On AirBnB, it was called the ‘Slepp & Relax’. 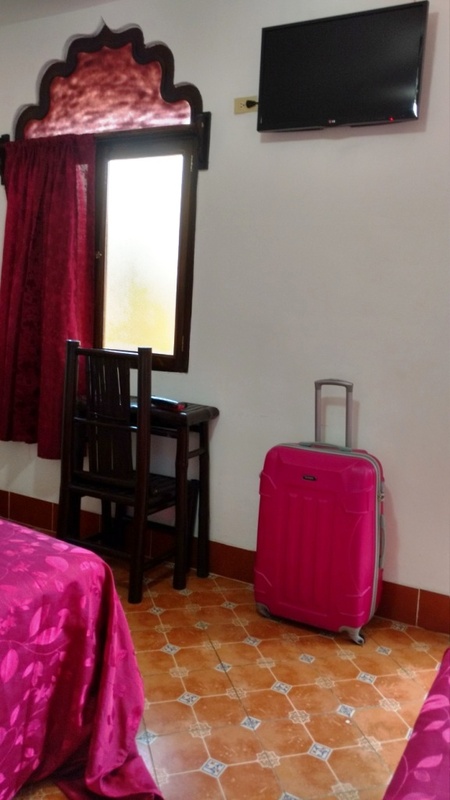 It wasn’t until after we confirmed and paid for our booking that we found out that it was a room at the Boutique Hotel Maharaja. The Maharaja is on the eastern, quiet end of the Calzada. It has a Hindu Restaurant and Atrium and a Dipping Pool. The room was very neat and tidy. It had a silent ceiling fan and Cable TV (with no English speaking channels). And it had a small wardrobe. The cold-water ensuite was a good size. But, the Free Breakfast was disappointing … it was small sweet bread buns (4 for 2 people) with an orange juice and unlimited coffee. At least you could have lots of coffee. This poor Breakfast meant that a (cheap) Lunch was a necessity. 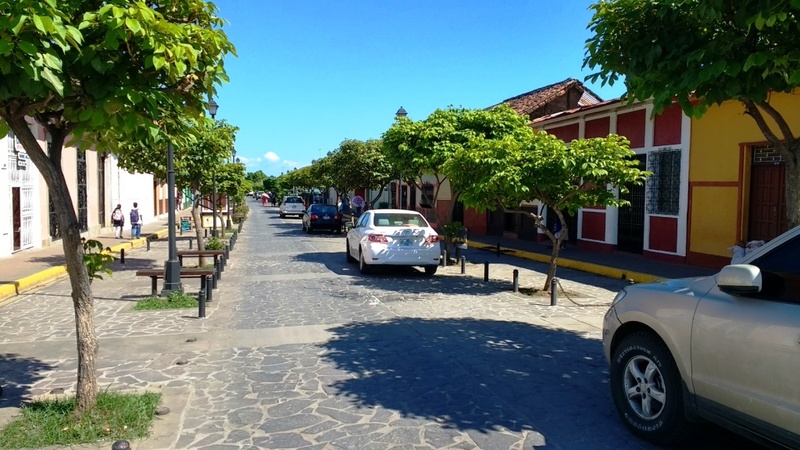 We returned to Granada 2 weeks later (after a trip to Ometepe Island and San Juan Del Sur). 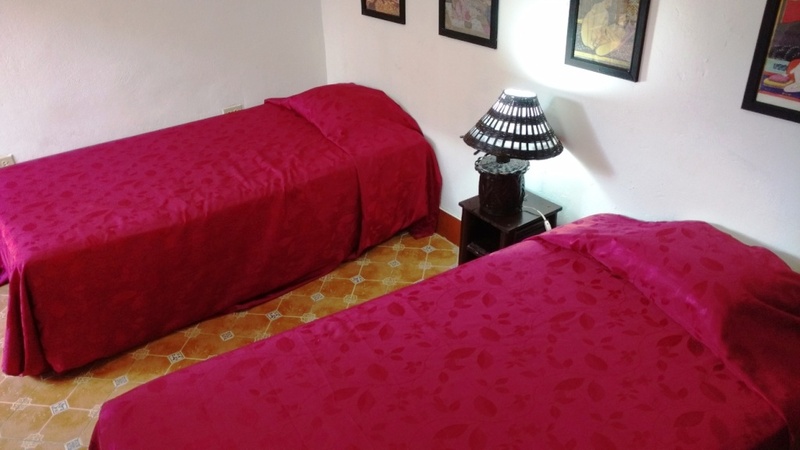 On this second occasion, we booked ourselves into La Siesta Hostal which is located 3 blocks north of the Central Park. We paid US$23 / night for a Twin Room. 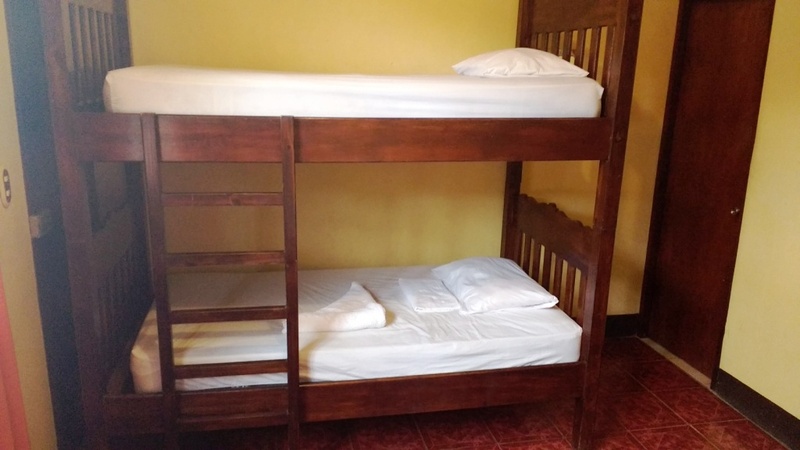 The room was spacious and tidy with a Bunk Bed and a Double Bed. It had a good sized wardrobe. 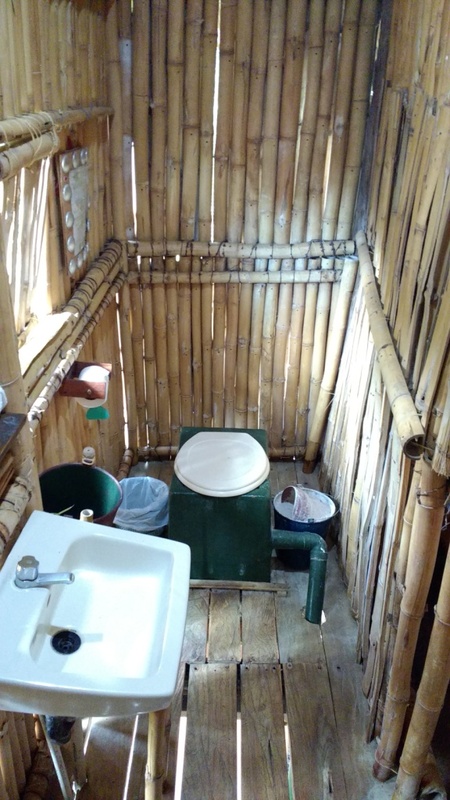 and a good sized en suite. The Siesta had a pleasant restaurant area. 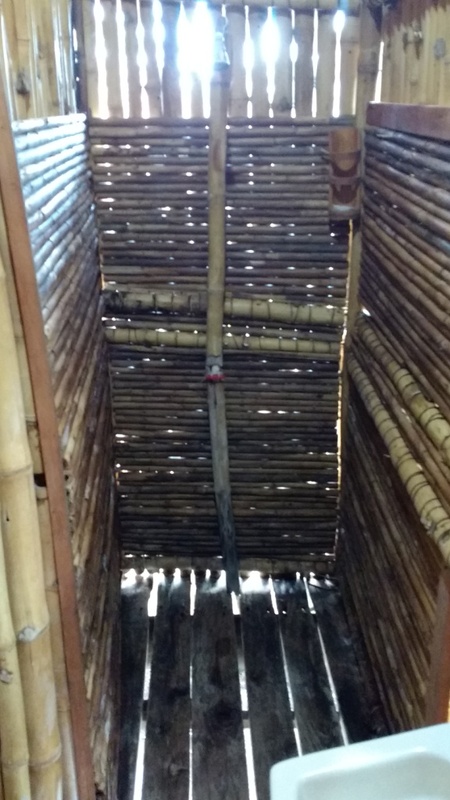 and an area with hammocks downstairs. The room did not include Breakfast but they provided 4 different Breakfasts for N$100 with bottomless tea / coffee. You will find good wifi in most hotels and restobars. But, you may still want your own Internet Plan on your Smartphone. I bought a Movistar SIMcard in Jiquilillo. I top it up as and when needed with N$100 and buy a new 7 Day MegaPack which comes with 500MB of data, 20 minutes of call time, 20 SMSs, and unlimited Facebook / Whatsapp. PLEASE NOTE: Movistar run regular promotions (usually at least 2 per week) that can as much as Quintruple your top up credits. This only applies to call and text credits – not to data. Try and top up on a Promo Day. If you are a sports fan, they also do regular N$30 Promos that give you unlimited 4G internet for 24 hours … great for streaming weekend sports from back home. PLEASE NOTE: When you top up in a store / tienda they sometimes charge you a 10% fee. If you top up for more than N$100, they may charge you a flat rate fee of N$20. To avoid these charges, try and top up at a Movistar Shop or a Movistar Stall found on the street. N$20 per person after 9pm. Busses go just about everywhere at about every time and they are cheaper than taxis. 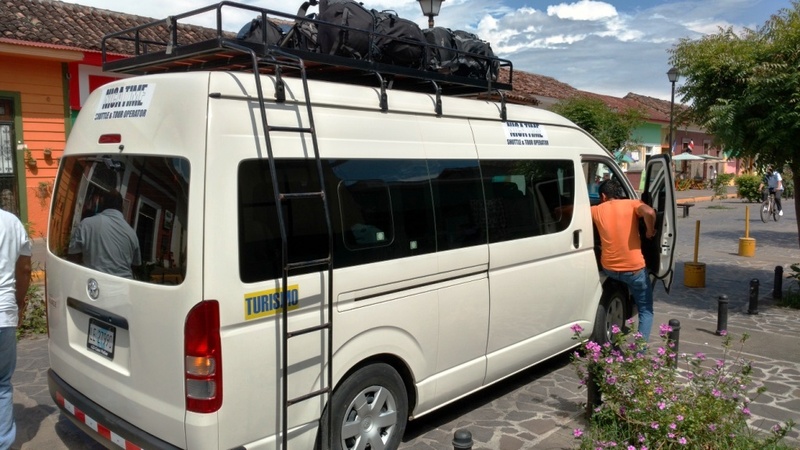 Mini buses have a bit more of a set time, they are more comfortable but cost a bit more than busses. 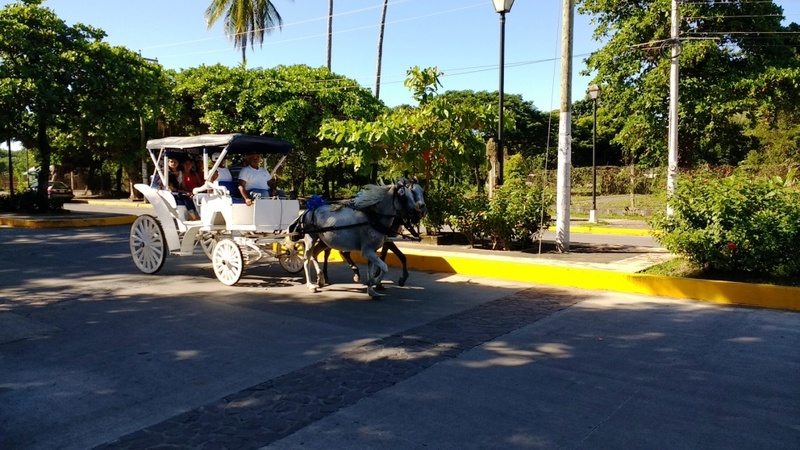 Horse-drawn carriages, known as coches, are a wonderful way to see the extent of the city limits. From the cemetery in the southwest, to the converted Rail Station in the north, to the water front in the east. 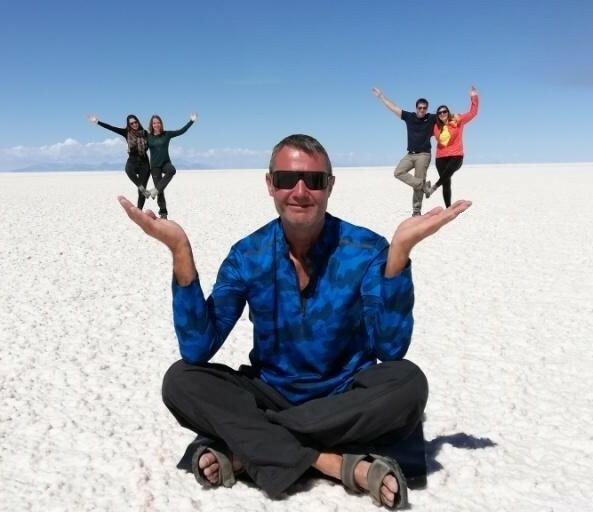 US$30 for an hour and a half tour. In and around the Calzada, prices are inflated. It is hard to find somewhere cheap to eat. There are street stalls in the Cathedral Square but they sell at tourist prices. FOR EXAMPLE: We skipped breakfast in Las Penitas and arrived in Granada just after midday. We were hungry. We sat down in O’Shea’s on Calzada and ordered a Double Cheeseburger with Fries and extra Bacon each. We shared a 1L beer. The price was N$732 (US$24.50). We were expecting something massive … what we got was very average … no bigger than a Big Mac! The free Breakfast at our hotel was basic. You may find better at another hotel. 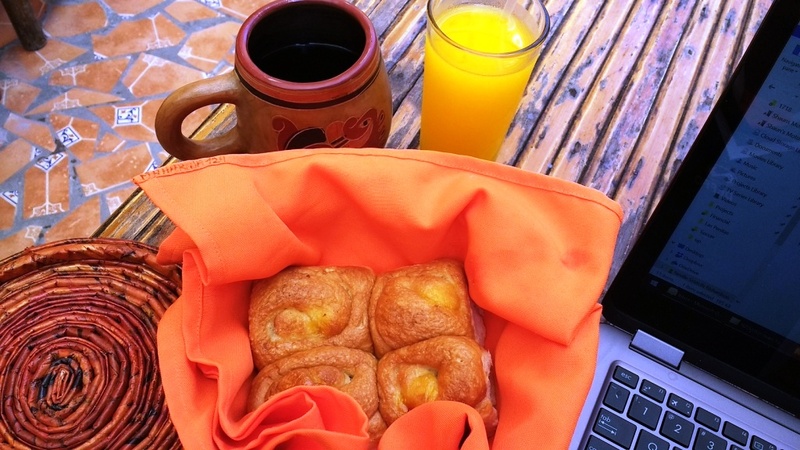 A Desayuno Nica (Tipico) along the Calzada will cost about N$125 including coffee. Get into the side streets and find your favourite little Comedors. Here, you will be able to get a Breakfast for N$100 including coffee. You will need to get off of the Calzada. 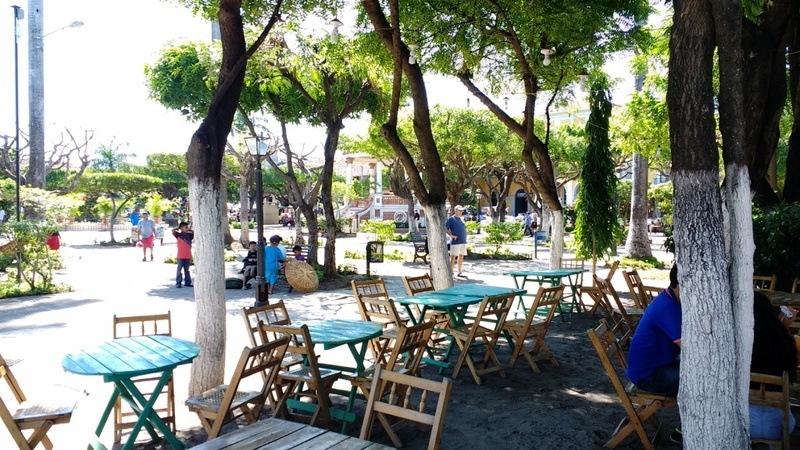 Within 2 blocks of the Cathedral Square you will find a few Comedors selling lunches for N$60 to N$90. You find the occasional street stall. I tried a pork stew meal in an open street-side cafe (N$60). Down the market, you can get something for about N$60. Around the market streets, you will find the typical ‘Fried Pollo’ outlets where a 1-piece Fried Chicken meal (without drink) starts at N$59. If you eat in a Restaurant, expect to see meal prices starting at N$200. Again, for cheaper meals, you need to get away from the Calzada into the side streets to find Comedors … and a few budget restaurants. 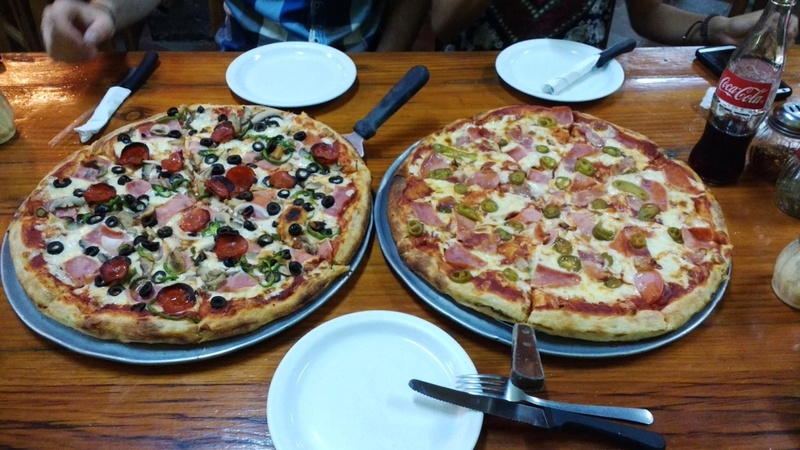 We ordered 2 Family Sized deep-pan pizzas and 3 colas (N$30 each) at the TelePizza (total N$732). They were massive. Three adults could only eat 1 pizza. We took the other home and ate it for dinner the following night. 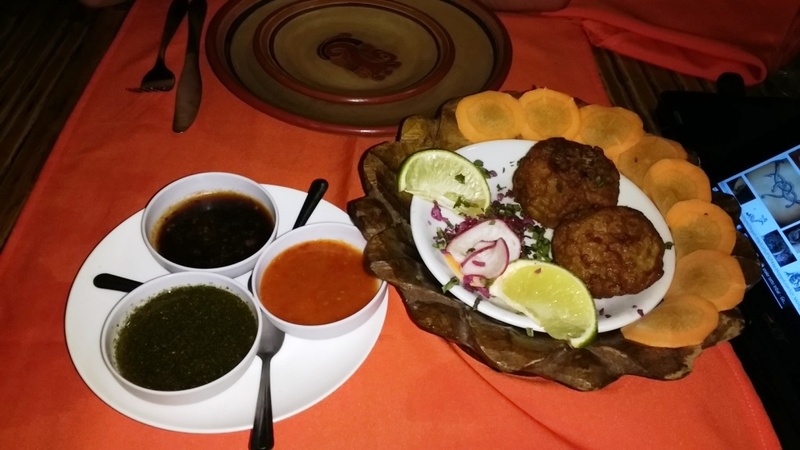 We ordered an Onion Bhaji starter to share (US$3.95). 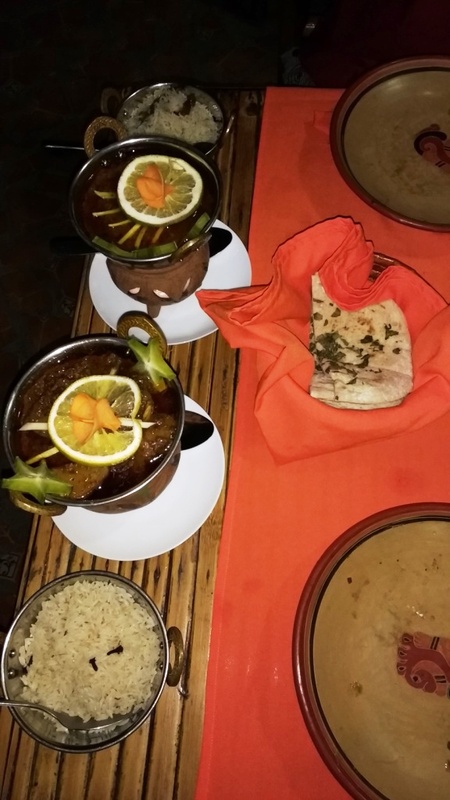 Followed by a Pork Vindaloo (US$10.95) and the ‘Special of the Day” which was a Beef and Smoked Eggplant curry (US$15). 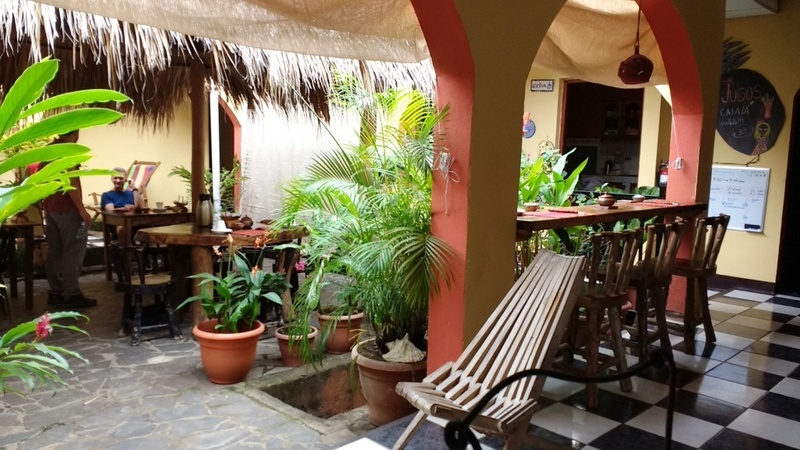 Walk 3 blocks north from the Parque Central along Calle Atravesada and you will find the Jose Cafe. 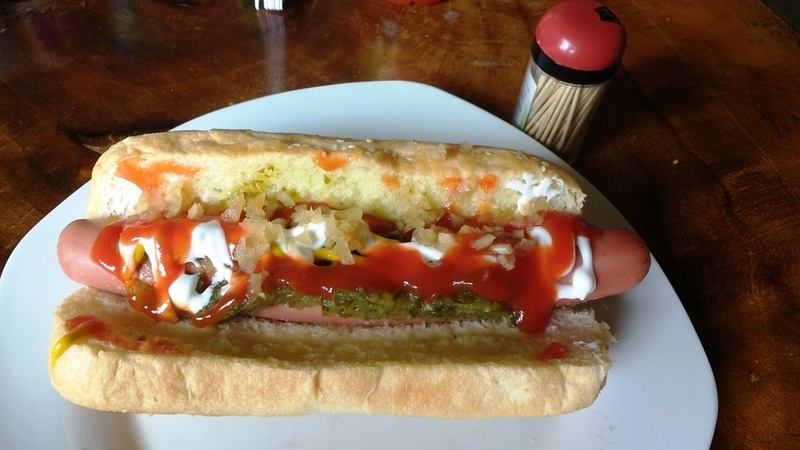 A tasty hotdog will set you back only N$25. 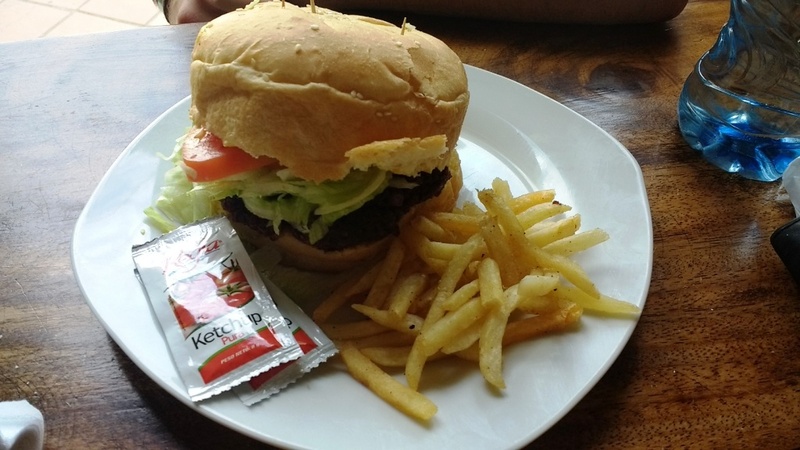 Hamburger & Fries is only N$60 (you will pay N$200+ on Calzada for the same thing). 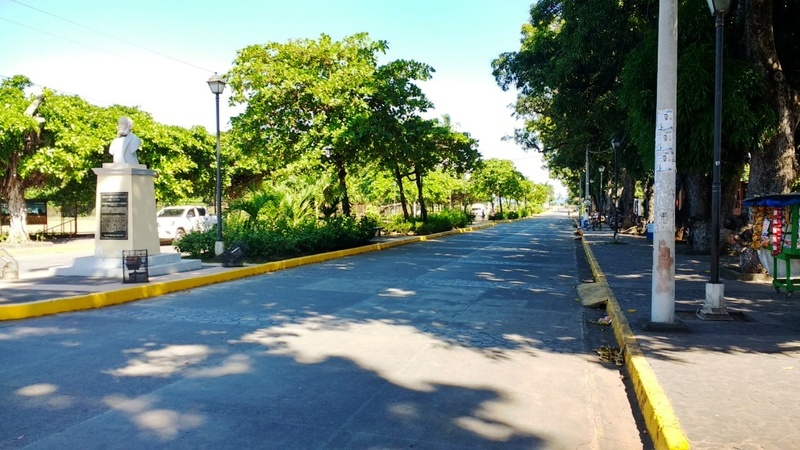 Walk to the eastern end of Calle La Libertad and you will find a Chinese (dine-in and take away). Large rice / noodle dishes range from N$120 (Pollo) to N$150 (beef / prawn). 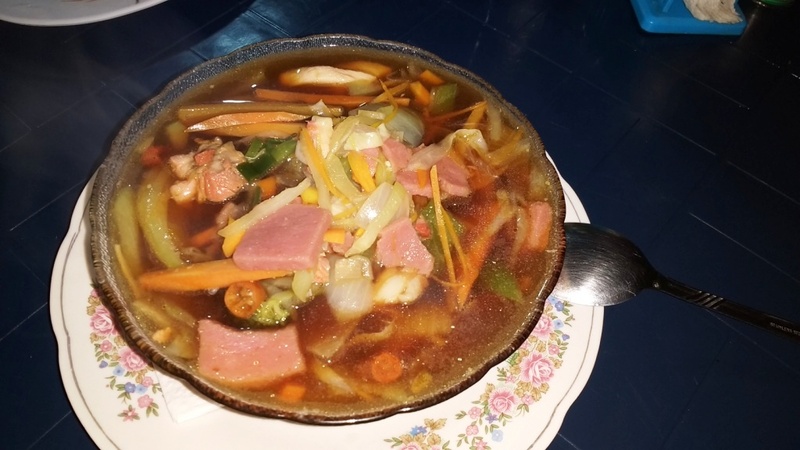 The soup of the house is only N$60. The more ‘adventurous’ of you may want to talk to the local lads across the road – who always have something on offer. 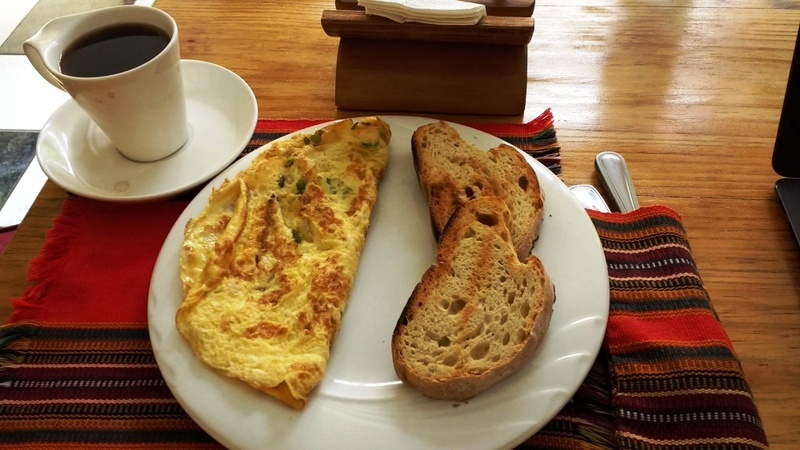 Expect to pay an average of N$100 / US$3.35 for a cheap Breakfast with coffee. Expect to pay an average of N$80 / US$2.70 for a cheap Lunch with fruit drink. Expect to pay an average of N$185 / US$6.15 for a cheap Dinner with a Fruit Juice or Beer. 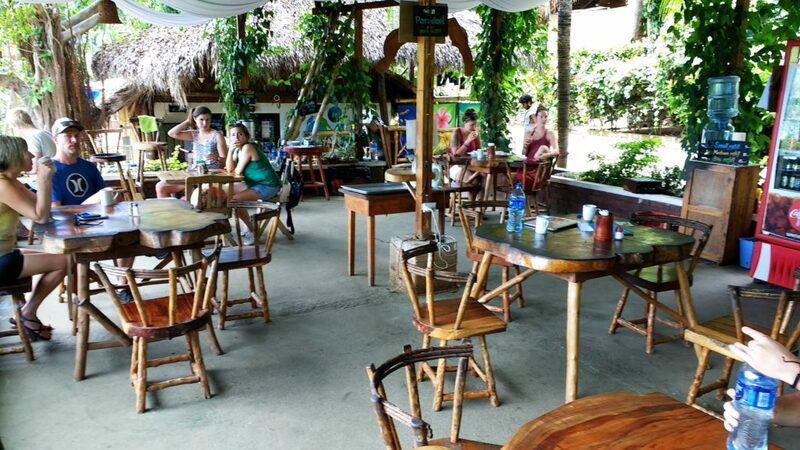 There are plenty of Happy Hours around town … which includes almost all of the bars on the Calzada. Some Happy Hours end at 6:00pm; others as late as 8:00pm. Happy Hours are usually on Cocktails (not beer). Cocktail prices range between N$60 and N$100. As usual, some places are better than others … avoid the places that water the drinks down. We found ourselves at O’Shea’s Irish Pub on many nights. O’Shea’s do a 1L ice-cold bottle of Tona beer for N$60. The normal price for a 330ml bottle of Tona is N$35, So, this made O’Shea’s a budget option for a cold beer … and good music. Prices in Granada are inflated. You need to get down to the market (2 blocks west of the Cathedral Square) for better prices. You will find a La Union and a Colonia Supermarket next to each other about 800 meters north east of the Cathedral Square. There are banks and ATMs everywhere … but, don’t expect to find a Bureau De Change. Lafise Bancentro is the only bank that changes foreign money … and, they only do US$s, Euros, and Costa Rica Colon. As with Managua Airport, the Lafise ATM allowed me to withdraw N$20,000 in one transaction. Granada has a low crime rate. There is no reason to feel unsafe. As always, exercise normal levels of caution … don’t make yourself an obvious target. Be careful at night – stay on the main, lit streets. My son was robbed at knife-point in the early hours of the morning whilst night-clubbing … the plonker was staggering down a backstreet on his own … that is just asking for trouble. He had N$1,500 in cash taken (but, they let him keep his new smartphone) … never carry more than you need with you. You will constantly approached every few minutes by touts trying to sell you something or beggars trying to ‘tap’ you for a US$1. Expect to have beggars put their hands out in your direction as you walk past them. Daily temperatures average a comfortable 27°C but it can get a bit humid. November through May is the best time to go. 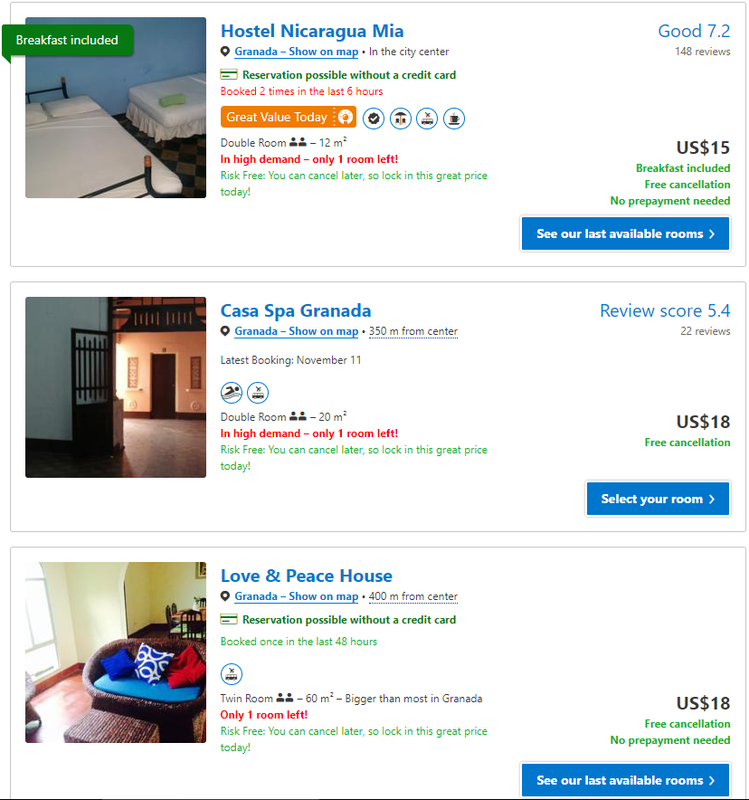 Prices range from US$18-US$20 (which includes the ‘National Park entrance fee’). We were picked up in a Minivan from our hotel at 5:00pm. There were only 4 of us in total, so they transfered us to a car. We finally left Granada at 5:20pm. 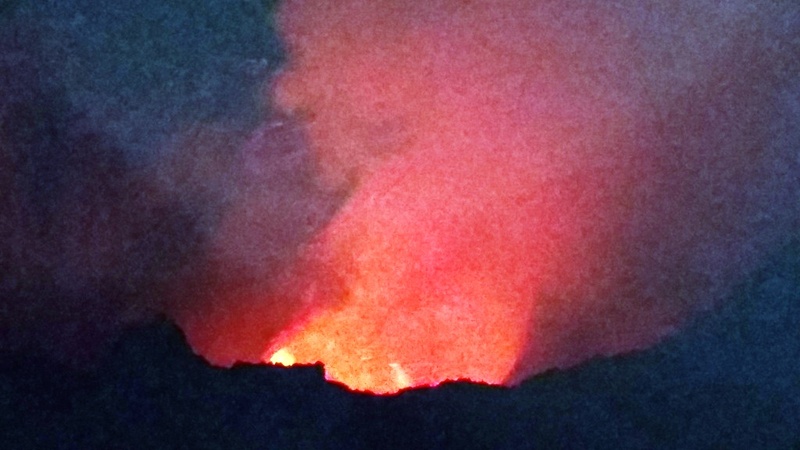 We were at the entrance to the Masaya Volcano Park at 5:55pm. We joined a queue of about 20 vehicles trying to enter the park. We were transferred to another Minivan where we joined more people. We finally got in 20 minutes later. We drove up the volcano for about 5 minutes and joined another queue of about 40 vehicles. We got out of our Minivan and walked to a viewing platform for a tour guide to give us a briefing. We walked back to our Minivan and waited a bit longer. At 6:50pm we were finally let through. They let ‘batches’ of vehicles through at a time (to control how many people are up the volcano). We drove about 5 minutes to get to the top where there is a carpark. 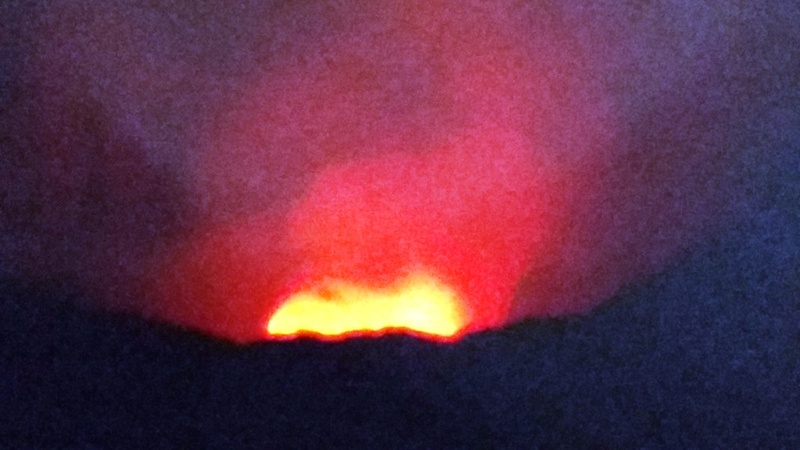 There were, probably, 100 people in our ‘batch’ … all vying for the best position to see the molten lava and take pictures. You are given 15 minutes at the viewing platform. Then, a guard blows his whistle to get you all back in your Minivans. By 7:20pm we were heading home. We were back at our hotel at 7:50pm. 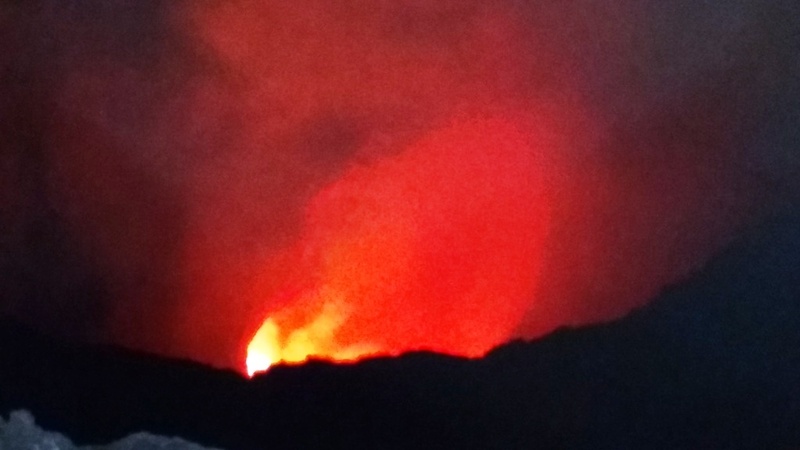 It was ‘OK’ for US$18 … we got to see molten lava in the most active volcano in Central America … but only for 15 minutes. A Chicken Bus to Managua costs N$29 each way. The bus leaves from a small bus terminal on Avenue Vega (about 80 meters south of the Parque Central as you walk towards the street market area). The bus trip takes about 1 hour and drops you off (and picks you up) outside of the Metrocentro shopping mall. 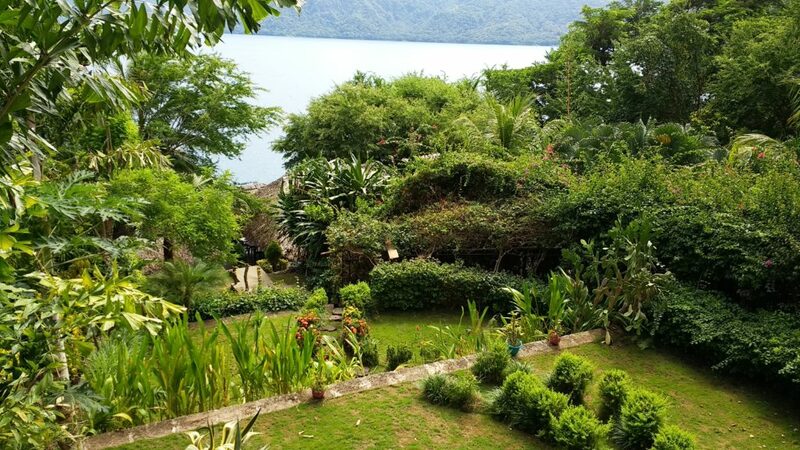 A day trip to Lake Apoyo costs US$15. We were picked up from our hotel by a small school bus at 10am. It took about 20 minutes to collect everyone else from their hotels before we set off for the lake. We arrived at the Paradiso Hostel on the lake at about 11am. 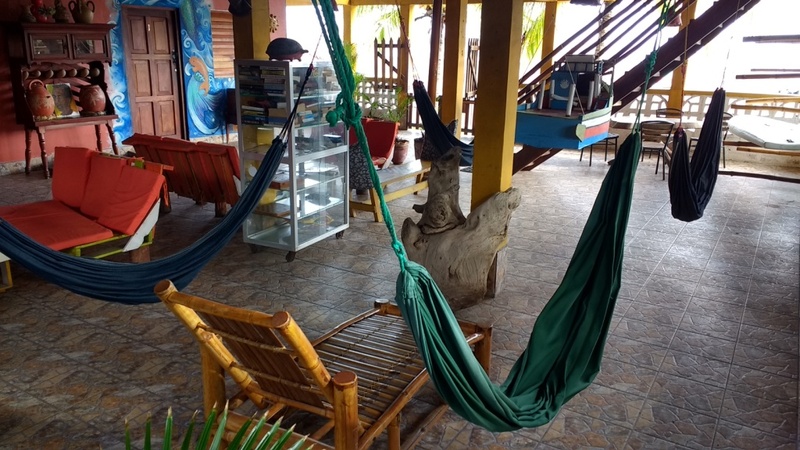 The US$15 includes a day pass to the Paradiso which gives you free access to their facilities – including coffee / tea and Kayaks (but you have to pay extra for the Paddle Boards). The waterfront area was very nice with a bar. And plenty of deck chairs. You can swim out through clear, clean, warm water to a pontoon for relaxing and sunbathing. They use a Chit System for your purchases which you settle at reception when you leave. PLEASE NOTE: You can do this day trip yourself for half the price. 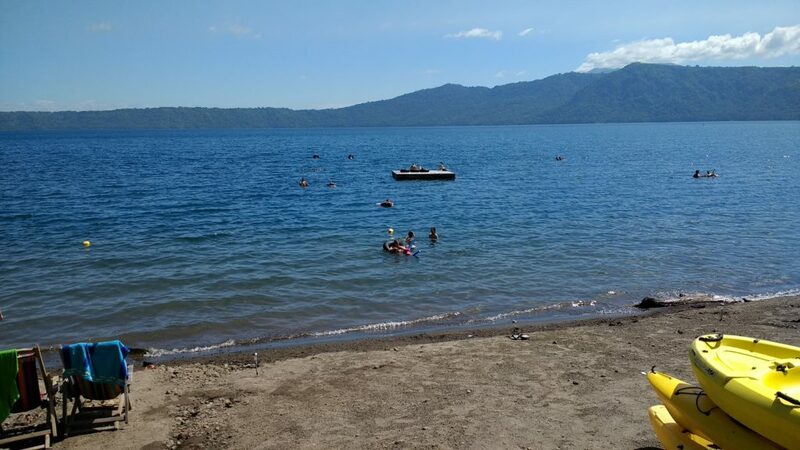 Catch the bus to Managua (above) and get off at the Lake Apoyo turn off (N$10). Catch another bus to go the 7kms from there to the Paradiso (N$10). Pay your own 1-Day pass (US$5). Make your own way back again. 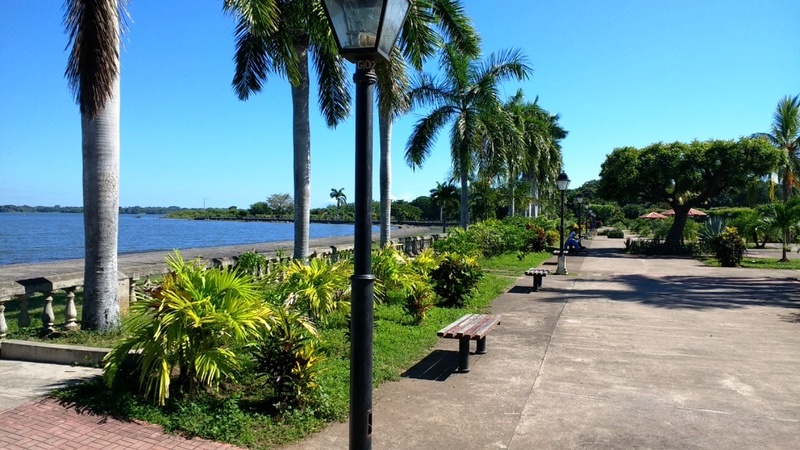 Alternatively, why not take a pleasant, short walk to Lake Nicaragua? You continue down Calzada onto the boulevard. 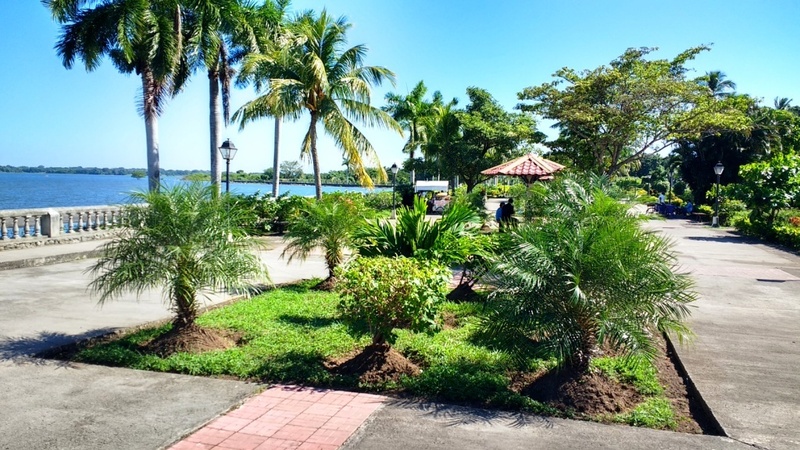 On the lakefront is a pleasant park area. 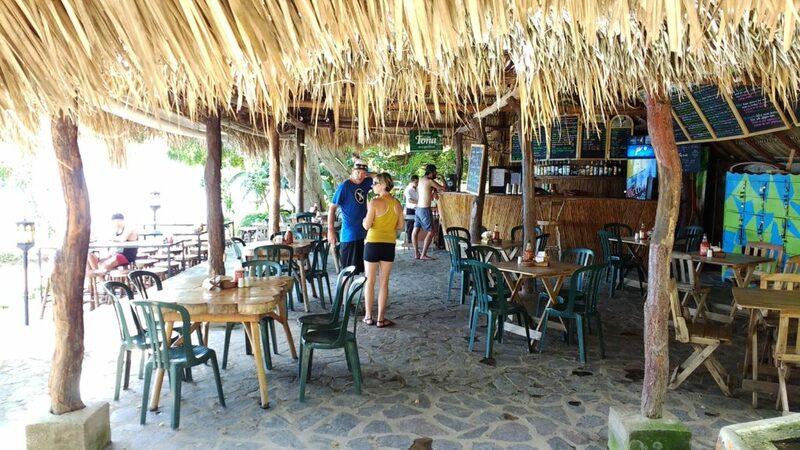 Just back from the lakefront park is a local cafe that sells cheap, cold beer. This route is popular with early morning joggers. From here we head to Ometepe Island. 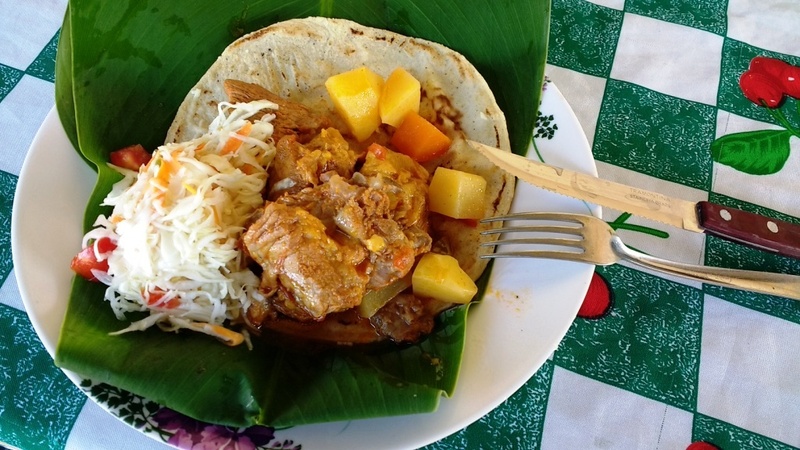 The ferry from Granada to Ometepe Island doesn’t run anymore … and hasn’t for a few years now. From a Bus Terminal 4 blocks south of the Granada Cathedral Square (on Calle El Comercio), we can catch a Chicken Bus to Rivas. 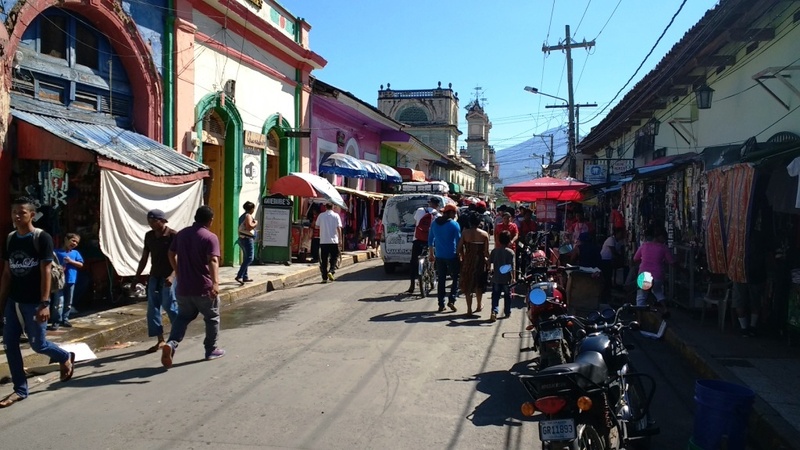 From Rivas, it is a short bus / tuk-tuk / taxi ride to the port of San Jorge. 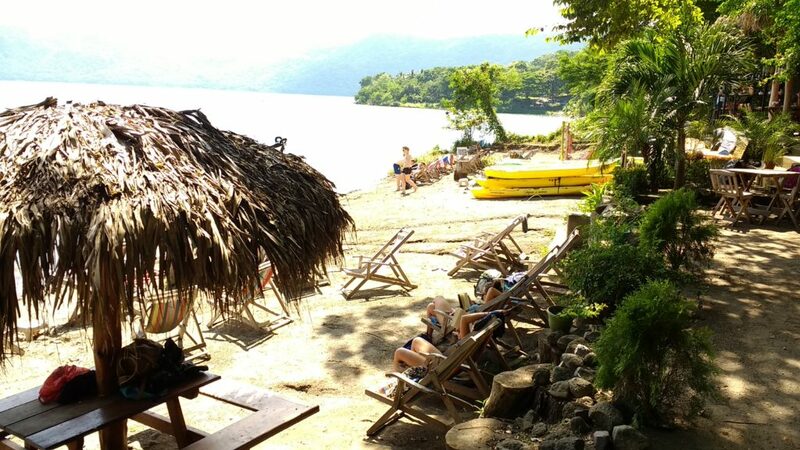 From there, we catch a ferry to Moyogalpa on Ometepe Island. From there, we catch a Chicken Bus to Santa Cruz on the other side of the island. Here is a detailed breakdown of costs for 2 GRANDPAckers holidaying here to GRANDPAcking standard. I lived in Granada to GRANDPAcking standard. 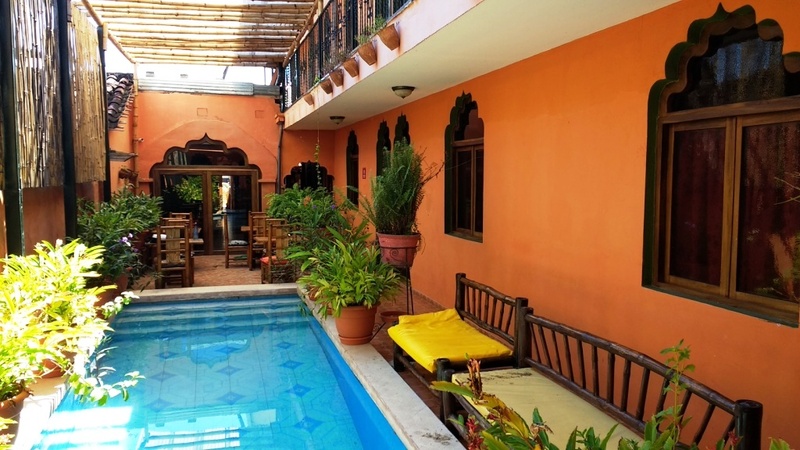 Accommodation: I stayed at the Maharaja Boutique Hotel for (a discounted price of) US$23 / night. This included a basic, insufficient Breakfast. Transport: I walked everywhere. 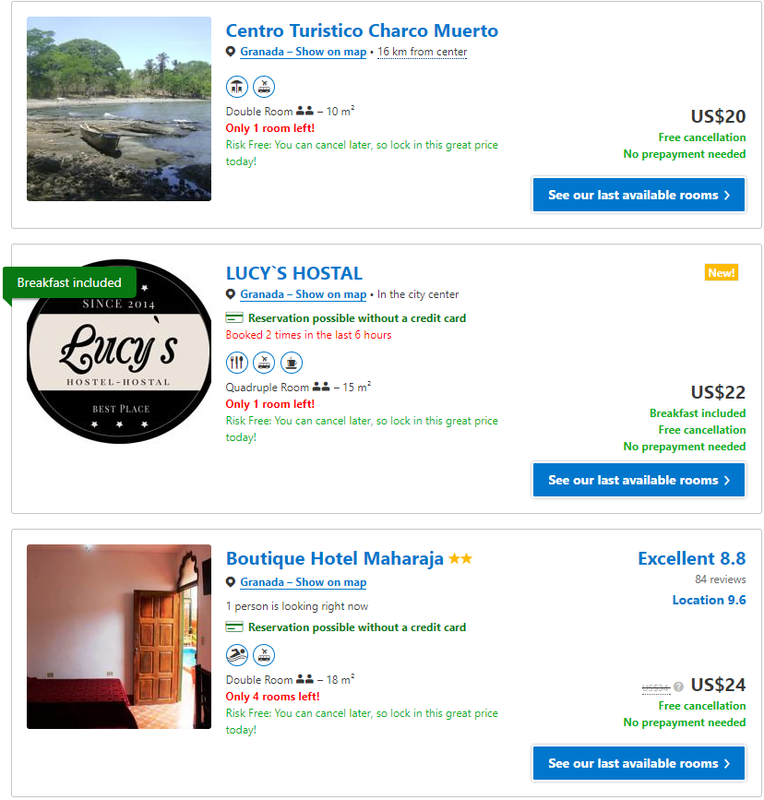 I took 2 return trips by Chicken Bus to Managua (N$58 each). Communications & Fees: I topped up my Movistar SIMcard with N$300 and bought one 7 day MegaPack with 500MB of data, some call credits, some SMS credits, and unlimited Facebook / Whatsapp (N$100). The extra N$200 was for our trip to Ometepe Island. Food & Beverages: I spent an average of N$415 / day. My COE was US$35 / day (63% of my total budget). 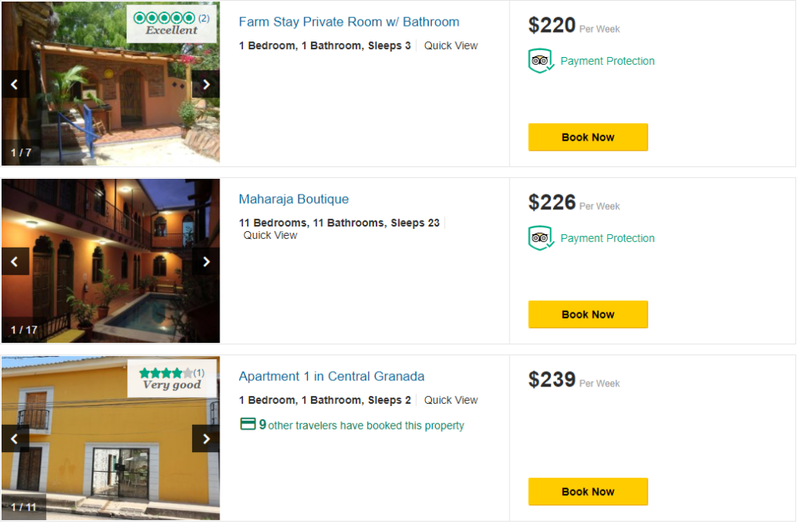 In / Out Costs: It cost me US$15 to get from my Las Penitas hotel to my Granada hotel. This was on a direct Shuttle Bus. Living Costs: I spent an average of N$178 / day on beer. My son and I had 2 nights partying (one night we got through nearly N$1000 drinking N$120 shots of tequila). I had 15lbs of laundry done at N$27 / lb. I went on 2 organised tours. I bought a new suitcase and some replacement clothes. My total COL was US$72 / day (132% of my total budget). If I ignore my large shopping bill, my COL would have been US$53 / day (97% of my daily budget). 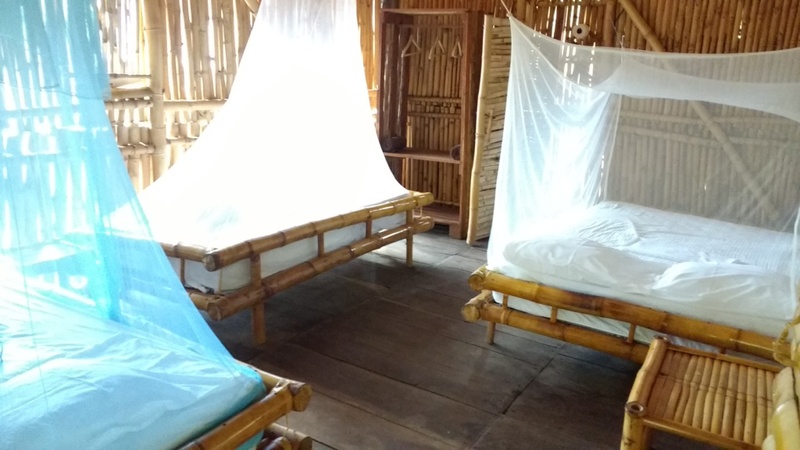 Accommodation: Book yourself into something for the first 2 nights at about US$25 / night. 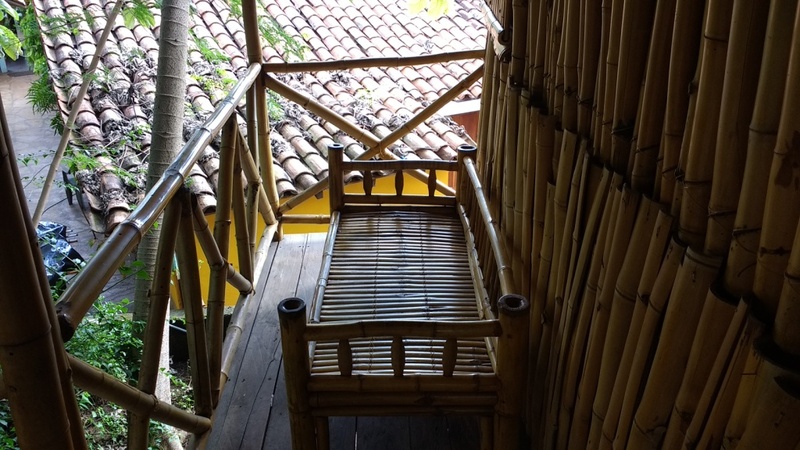 Once here, look around … get yourself into a decent budget hotel for US$20 / night thereafter for a long-term stay. Make sure that you get a good Breakfast included in that price. 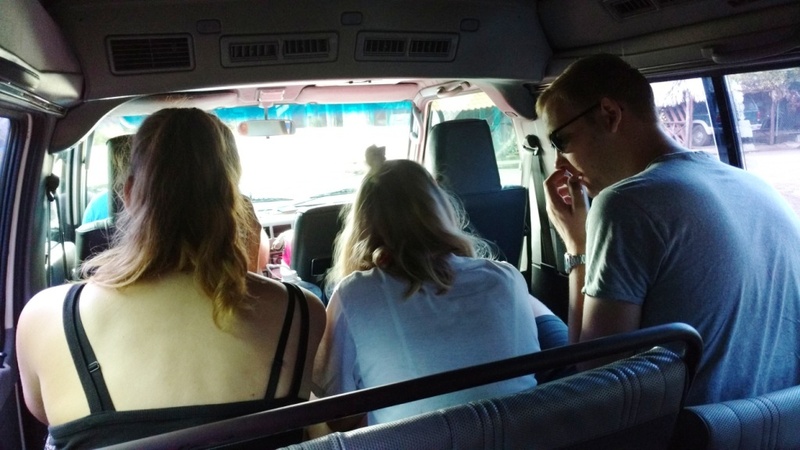 Transport: There is a budget for 2 people to go on a weekly day trip to Managua or to some nearby sights (N$29 per person each way). Communications & Fees: Your budget includes a N$50 Movistar SIMcard and 4x 7-day MegaPacks (N$100 each). Food & Beverages: Your budget is N$532 / day. This is to eat all of your meals in a Comedor or from the lower quartile of a budget restaurant. You will, also, need to buy your own water (which is unlikely to be provided by the hotel). Your COE is US$39 / day (72% of your total budget). This leaves you US$15 / day (N$450) to LIVE on. LIVING on that will be ‘tight’ … organised day tours start at US$15. Granada makes it into my Retirement Reviews. 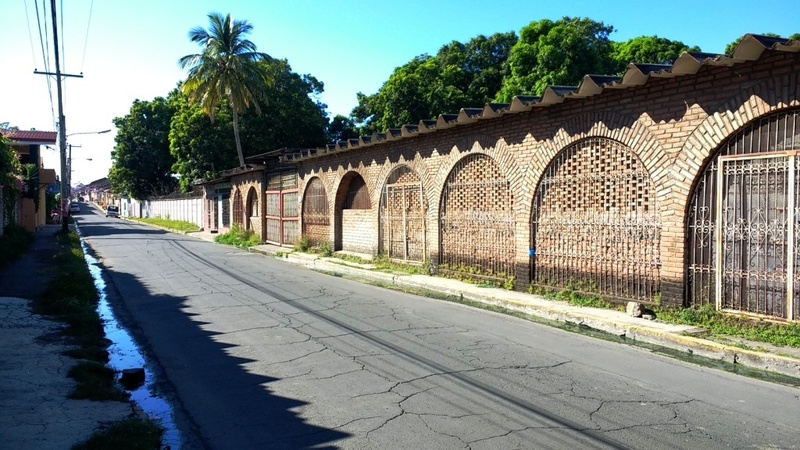 Accommodation & Transport: You can get a 2 bedroom apartment within walking distance of the Historical Center for US$450-$500 / month. This price should include your usual costs of occupancy (e.g. local rates, water, etc). Extra Costs: You will need to pay for your own electric usage. Electric is relatively expensive here. 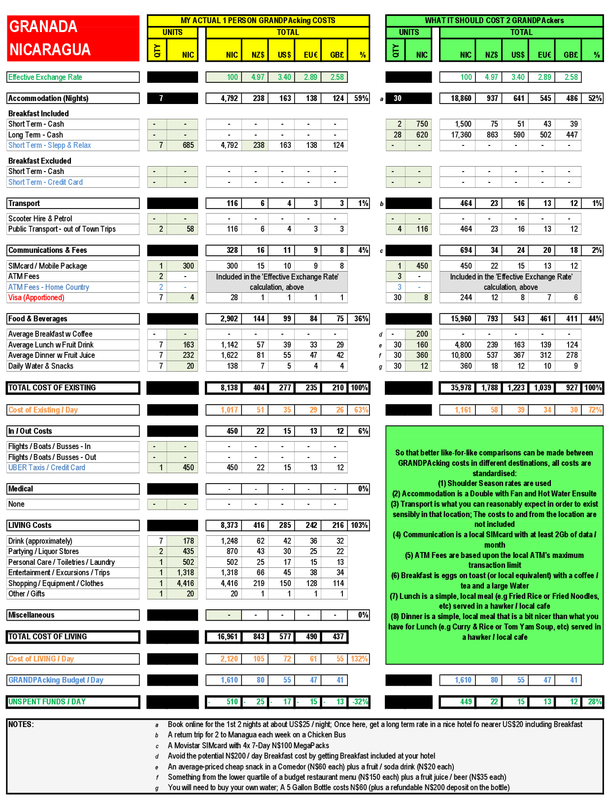 Budget US$95 / month for electric (more if you plan to have your aircon on all of the time). 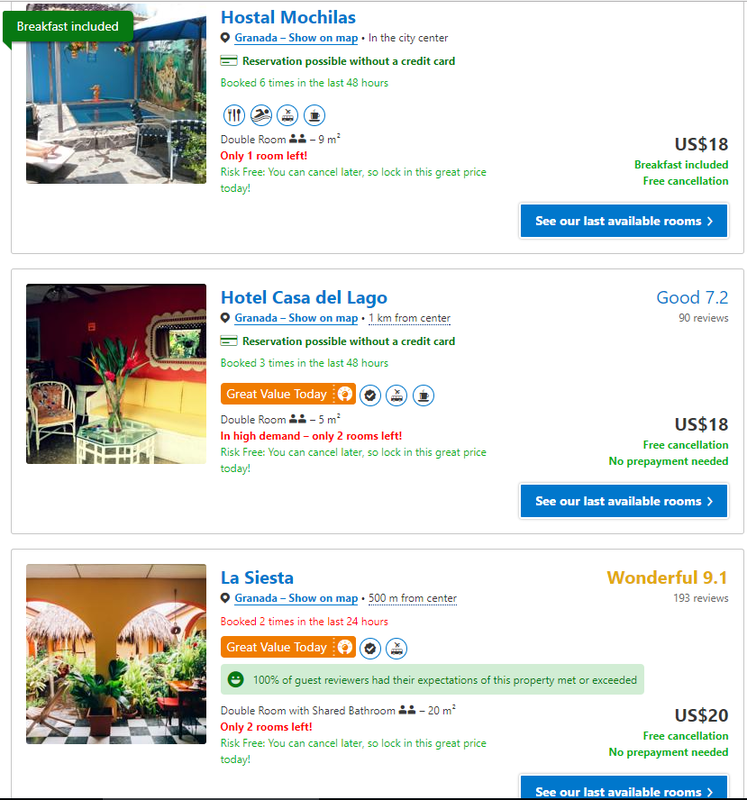 Food & Drink: Budget US$685 / month to eat all of your meals out in Comedors and budget restaurants (halve that if you eat all of your meals at home). Health & Safety & Visas: Insurance is from someone like World Nomads. 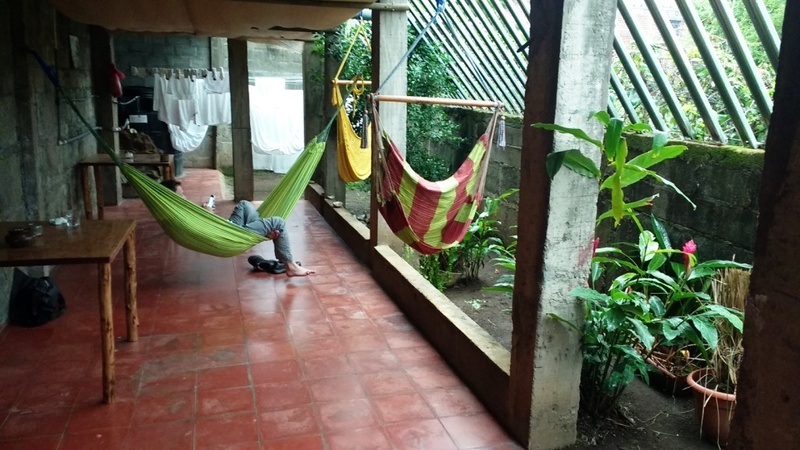 The Visa costs are for a 5 Year Retiree Visa apportioned over that period… if you don’t have a Retiree Visa, you will need to do a Visa Run to Costa Rica every 3 months (budget US$100 per couple for each Visa Run). Granada has a heart. It offers a nice, clean, varied lifestyle that has character … and, it does this in an environment of relative safety (for Central America). 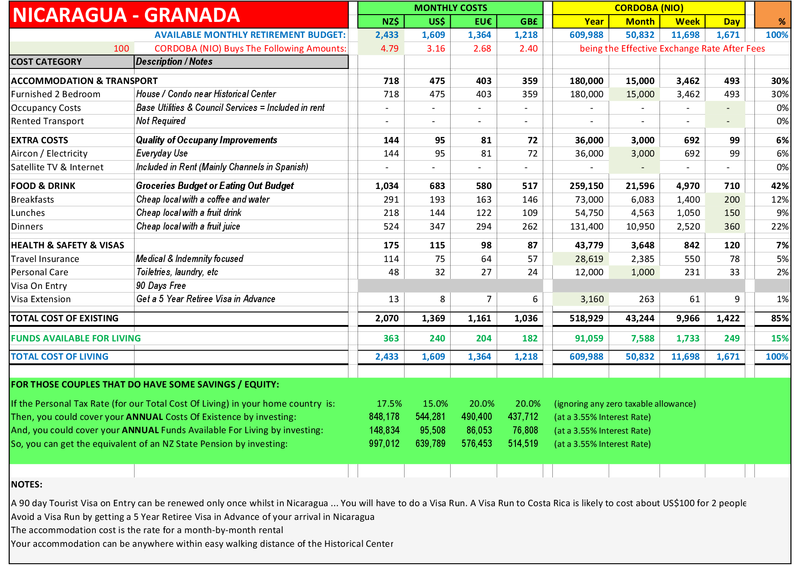 Granada comes in expensive compared to other locations … the main problem is the cost of eating out. But, if you are prepared to search around for your favourite Comedors, Granada is definitely worth a look.